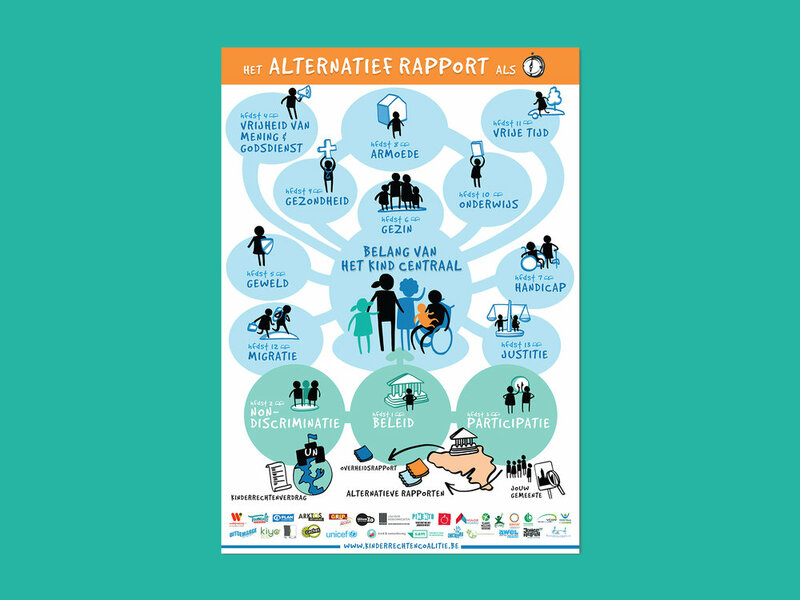 BACKGROUND: When they contacted us, Kinderrechten Coalitie had been working on an alternative report on the state of the Rights of the Child in Flanders, and wanted to make it more accessible by visualizing the key concepts contained in it. We co-created an infographic that has the function to both illustrate the themes and help you to navigate the report, as each of the themes has a chapter number associated. Read more below. During a 4 hours co-creation session with our client, we visually mapped out the information structure which would then become the backbone of the infographic and help everyone involved to have a clear overview of the main messages of the story. We developed a poster that included the key messages of the report, and the recommendations that come with them. We then edited the infographic to fit a smaller format, with the purpose of illustrating the report, with only the main titles and the chapters number for each of them. 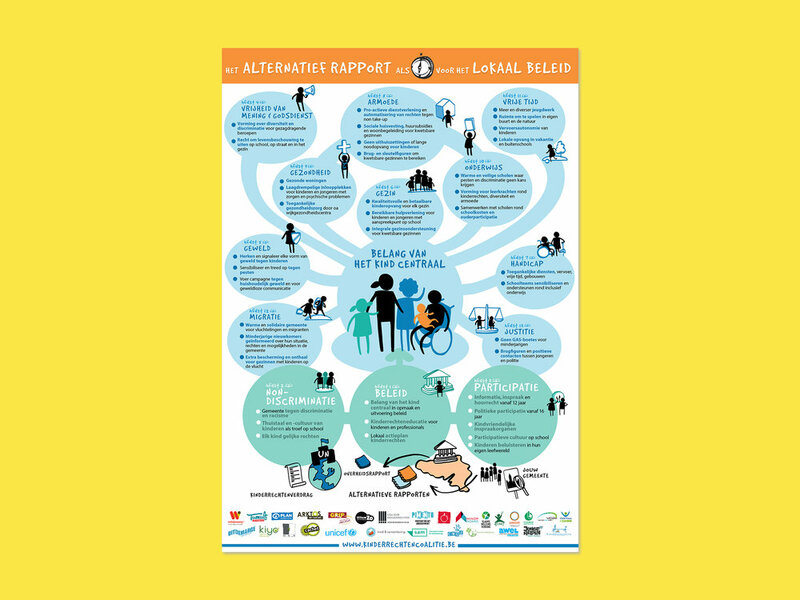 We believe that visualizing information is a long-term investment: it does not have to stop with a printed infographic. We brought this project on to a power point, which allows our client to edit the text in order to adapt it to multiple audiences and be able to reuse the icons and illustrations as assets for presentations and other documents.